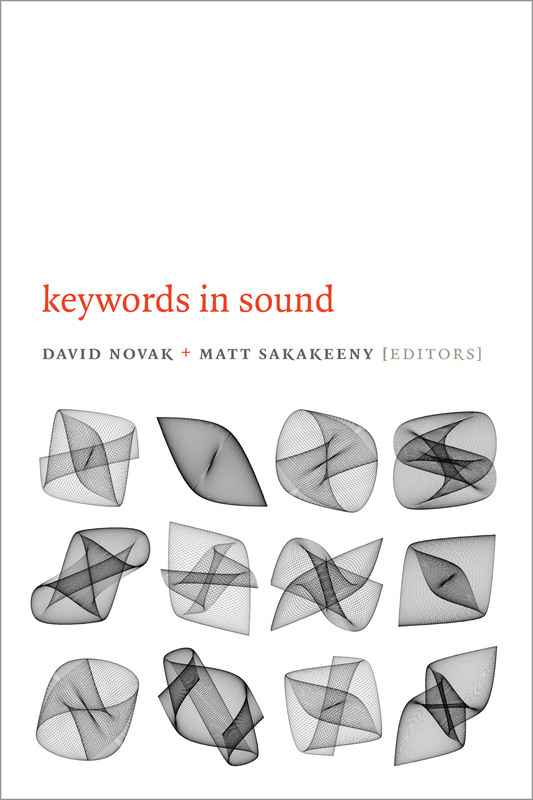 KEYWORDS IN SOUND is a collection of twenty entries by leading scholars in the field of sound studies, edited and with an Introduction by David Novak and Matt Sakakeeny, and published by Duke University Press. From ‘Acoustemology’ to ‘Voice’ in the form of a primer, a very rich and stimulating panorama—historical, geographic, and theoretical—taking up numerous questions concerning this strange thing: sound. 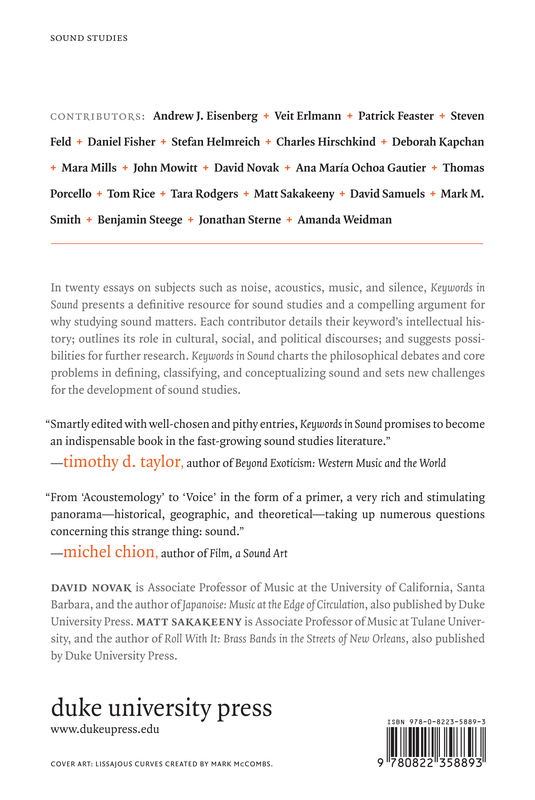 Smartly edited with well-chosen and pithy entries, Keywords in Sound promises to become an indispensable book in the fast-growing Sound Studies literature.